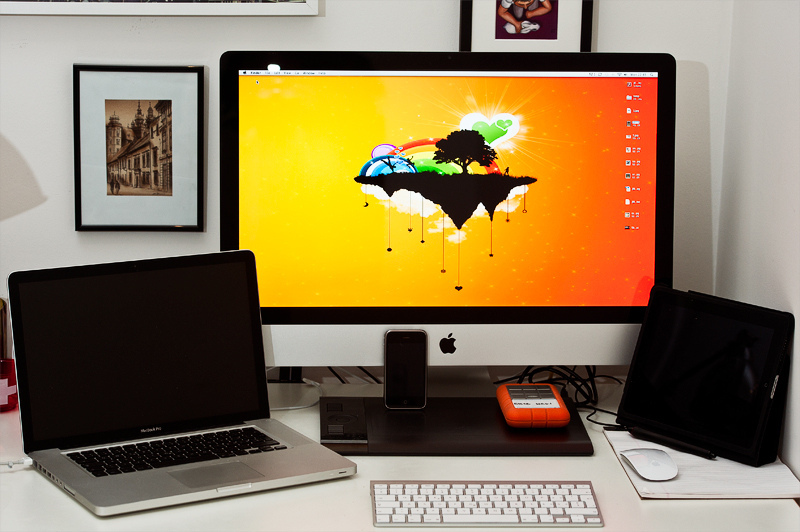 Here are our Top 8 Gadgets of 2010, what are yours? As 2010 comes to an end, we can look back and digest what a fantastic year it has been for gadgets. Mobile phones are faster than they have ever been, notebooks are suddenly second choice to a tablet device and we can now play video games with the movements of our bodies, without the need for a controller. Apple made its thinnest notebook even thinner this year, introducing processing power without trading any of the more important features. Just 1.7cm thick at its highest point, the Macbook Air weighs just over 1kg, making it the ultimate portable computing device. Utilising SSD storage, the Macbook Air boots seriously fast, the staff at The Next Web have reported instances of a cold boot into the desktop in just ten seconds. Being light, we have been able to sling the Macbook Air in our backpacks when attending technology events, taking it out and are ready to write within seconds, it’s that good. Perfect for business travellers, people on the move or individuals that crave small form factors, the Macbook Air is the laptop for you. More than a netbook and almost a full-on laptop, there isn’t much this device can’t do. Launching in November, Microsoft took the competition to its video gaming rivals by launching a wireless control peripheral for its Xbox 360 console that didn’t need a controller to operate. Sony and Nintendo had their own wireless systems but both required the user to make use of a control pad in order to interact with the game. Microsoft estimated it would sell 5 million Kinects this year, judging by early figures, we think they will blast past that expectation. 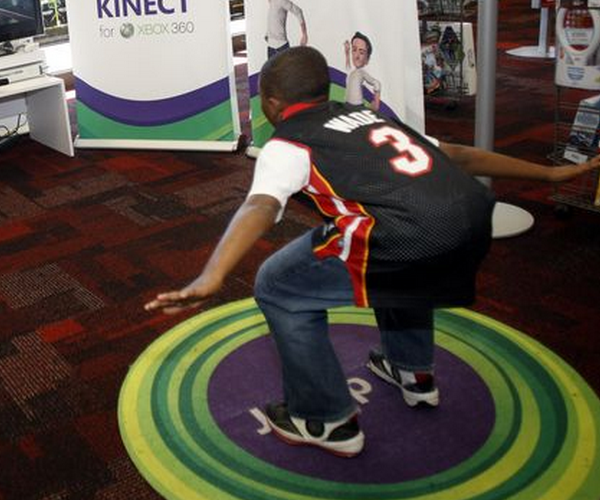 In the first ten days, Microsoft sold 100,000 Kinects a day, topping a million units in ten days. In 25 days, Microsoft had moved over 2.5 million of the peripherals, keeping it on course for its goal. Games for the platform are scarce at the moment but many games publishers (including LucasArts with its Star Wars franchise) have already signalled their intentions to develop for the Kinect. 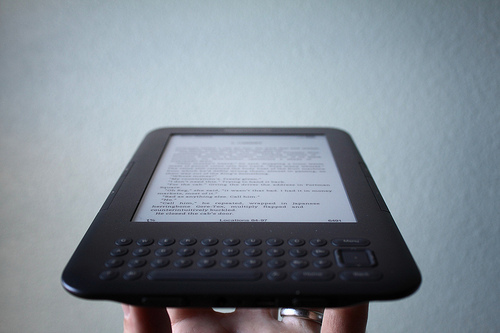 Whilst the Kindle didn’t launch in 2010, Amazon launched its newest model in August of this year and has found it difficult to satisfy demand for the device ever since. By October 25, books bought for the Kindle on Amazon.com had taken over hardcover sales for the top 10, 25, 100, and 1000 bestselling books on Amazon, outselling all print books (hard and softcover) in the process. Amazon is likely to sell more than 8 million Kindle electronic-book readers this year, at least 60% more than analysts have suggested, solidifying the eReader as the number one eBook device. Low prices, huge eBook availability and low prices have helped to bring the Kindle to the masses, we don’t see demand for this device slowing any time soon. Despite Google’s warning that its Android operating system wasn’t suitable for tablet devices, Samsung put all it had into developing a 7-inch tablet device aimed at competing with Apple’s iPad. 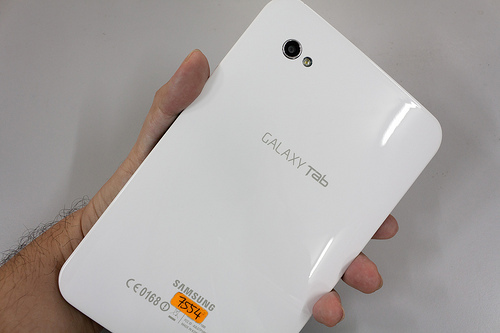 When the device launched, many felt the smaller form, lack of apps for the device and high-price might have put people off buying the Galaxy Tab. Naysayers were quietened when Samsung officially revealed sales figures for the Galaxy Tab – at launch the device sold 600,000 units, moving to surpass one million in the following two weeks, causing Samsung to increase their sales estimates to 1.5 million units sold by the end of the year. The iPad is still the market leader in the tablet market but the Galaxy Tab is making significant inroads into it, it seems people can’t get enough of the lightweight, portable device that can make and receive calls unlike its iPad rival. No Top 10 gadget list would be complete without a mention of the iPad. Apple saw the gap in the tablet market and it exploited it – porting its popular iOS operating system to a 10-inch tablet, the company was able to offer incredible battery life and speedy operation whilst remaining completely connected at all times. 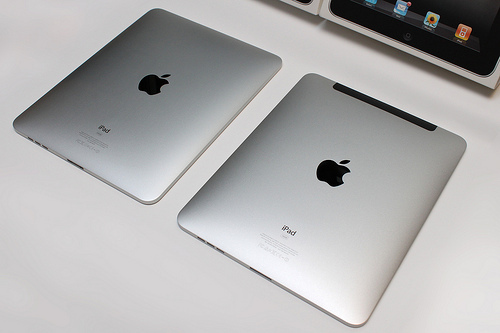 The iPad became the fastest-selling gadget of all time, selling three million units in just 80 days. It is thought that over 7.5 million of the tablet devices have been sold so far this year. The iPad was expected to be a Christmas bestseller with sales set to increase with news of the iPad 2 launching in the first quarter of 2011. Helped by the spectacularly successful blockbuster film Avatar, 3D made its way into our living-rooms in 2010. Whilst early 3DTV’s require glasses (that are prohibitively expensive in some cases), that hasn’t stopped consumers flocking to electronics retailers to get a taste of 3D programming and films in their own homes. Broadcasters are gradually starting to incorporate 3D-enabled content into their broadcasts, in the UK there are now 3D-enabled live sports via the Sky 3D service. Manufacturers are already developing 3D televisions that don’t require glasses, the technology is even being incorporated into our mobile phones. 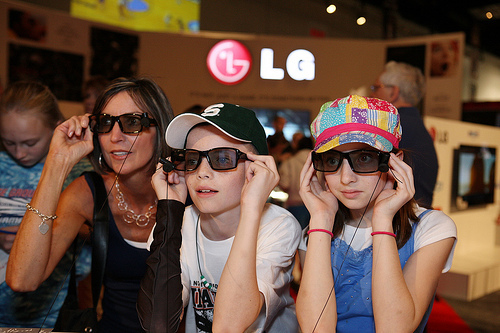 It’s a distinct possibility 3D will become a lot more mainstream in 2011, not just for TV’s. 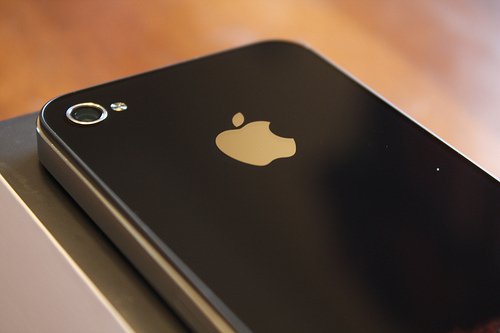 Despite launching with much controversy, the iPhone 4 sold over 1.7 million units in just 3 days from its launch. Incorporating a 1GHz processor, Apple’s new Retina Display technology, HD video and support for the 300,000+ apps on the App Store, Apple is expected to ship 15.5 million units this quarter, totalling 47 million for the year. The white iPhone 4 is still nowhere to be seen, expected to launch in Spring 2011, delayed due to inconsistencies between the paint finishes on the menu button and the phone chassis. Nexus One – Google’s flagship Android smartphone launched at the start of 2010 with impressive specifications and direct support from the very people who created the operating system. Seen by many as a failure on Google’s part for allowing online sales only, the device was pulled from Google’s website in August and was made available only to developers. It’s still seen as one of the top Android devices despite being nearly a year old. Google TV – Google branched out into the television market in 2010, unveiling Google TV which brought internet-connected services to existing television broadcasts. The platform was well received by consumers but broadcasters had begun to block Google’s service as the search giant packages catch-up streams in a way they can’t control. Without major network support the platform could flounder, we are sure Google is working hard to make things right and push Google TV onward. Samsung Galaxy S – This Android smartphone range is expected to sell upwards of 10 million units this year, providing some serious competition to the iPhone 4. Samsung enjoyed a good year with both its smartphones and tablet devices. Will 2011 get off to a good start with the release of the Nexus S? Of course there will be lots of other gadgets that will have brightend up your world this year, we would love to hear some of your suggestions. Let us know your thoughts in the comments.